Very fashionable with this modern geometric pendant. 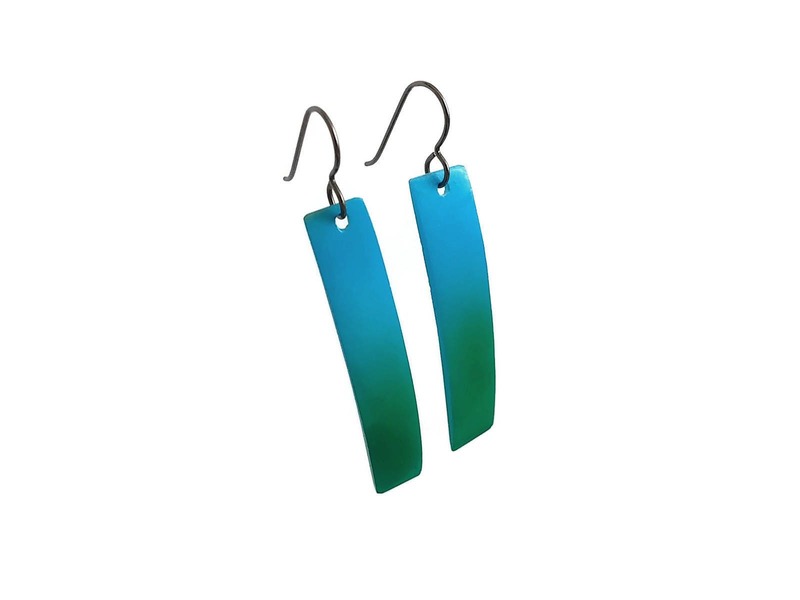 These pendants metal earrings are extremely easy to wear. I've assembled with a pure titanium ear wires. Titanium is 100% hypoallergenic and will not produce skin irritation or discoloration. Natural shell pendants measuring 50mm x 10mm (2 x 3/8").